Recognized as a on of the thistle token of Nova Scotia. Text : Province of Nova Scotia. 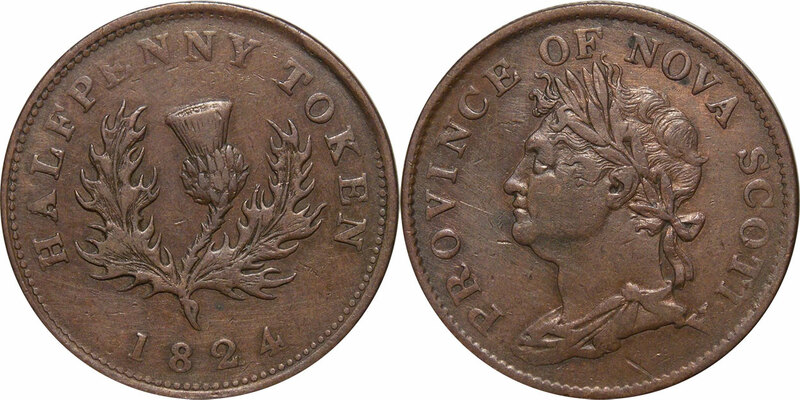 Halfpenny Token 1824.